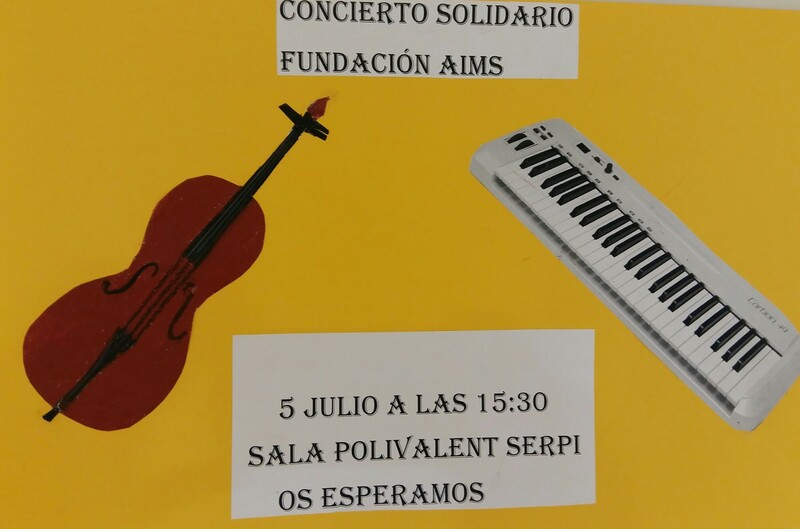 Entre els dies 5 i 8 de juliol AIMS Fundació ha estat de gira amb el seu programa AIMS Social. Between the 5th and 8th of July, the AIMS Foundation has been on tour with its AIMS Social program. Peter Thiemann y Seon-hee Myong van passar una hora compartida amb els usuaris i els professionals del servei. 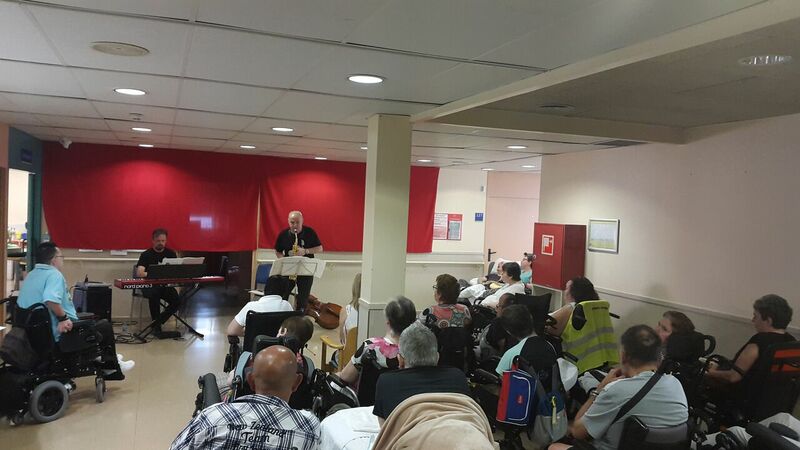 Visit at the Intensive Psychiatric Rehabilitation Service of Sant Joan de Déu Hospital in Numància Street in Barcelona. Peter Thiemann and Seon-hee Myong spent an hour shared with users and service professionals. 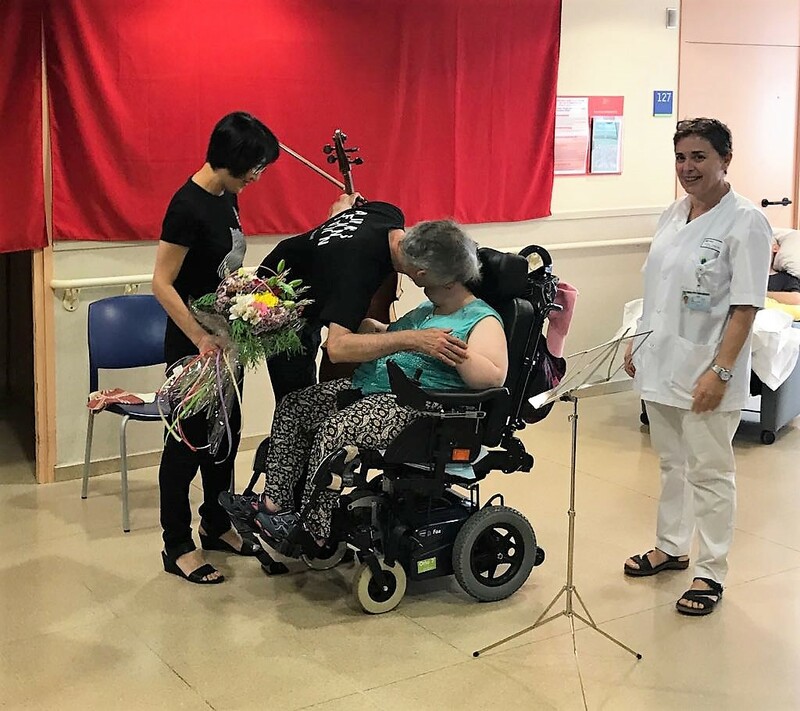 Gràcies als nostres voluntaris Albert Julià i Dani García varem poder anar quatre músics a differents centres de l’Althaia Fundació Manresa. 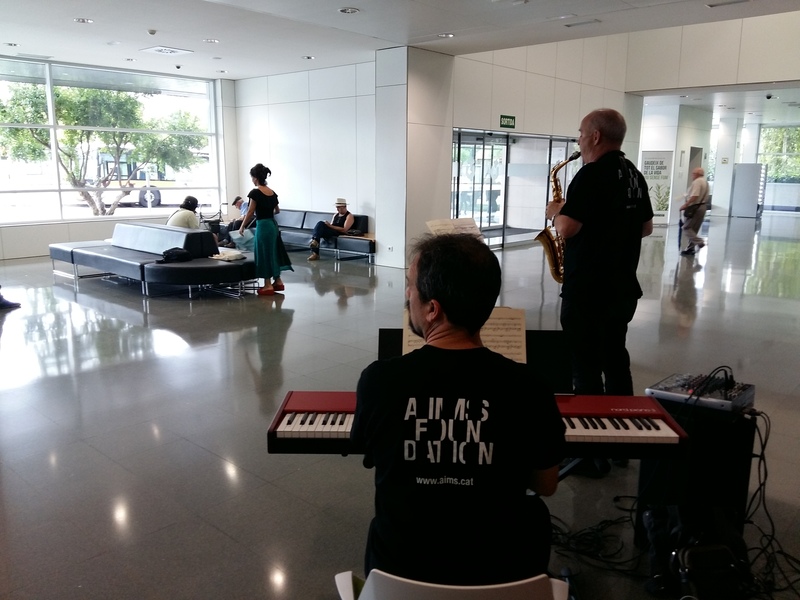 Thanks to our volunteers Albert Julià and Dani García, we were able to go to four musicians in different centers of the Fundació Althaia in Manresa. 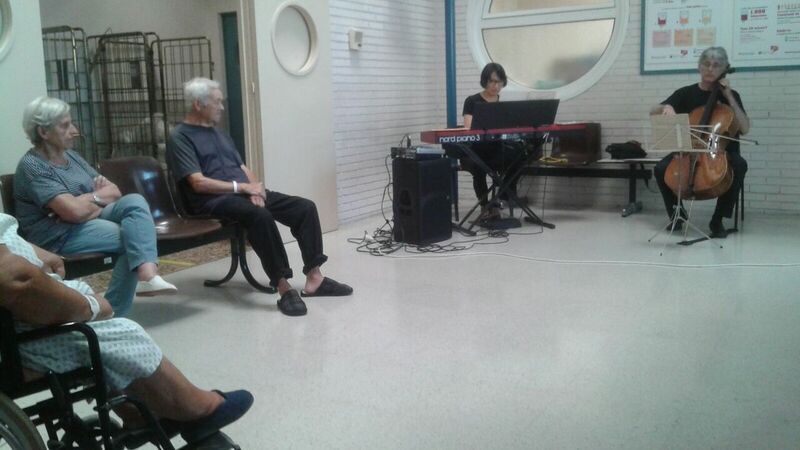 Performance at the Residence for the physically disabled. Seon-hee Myong i Peter Thiemann van continuar les visites a Manresa. 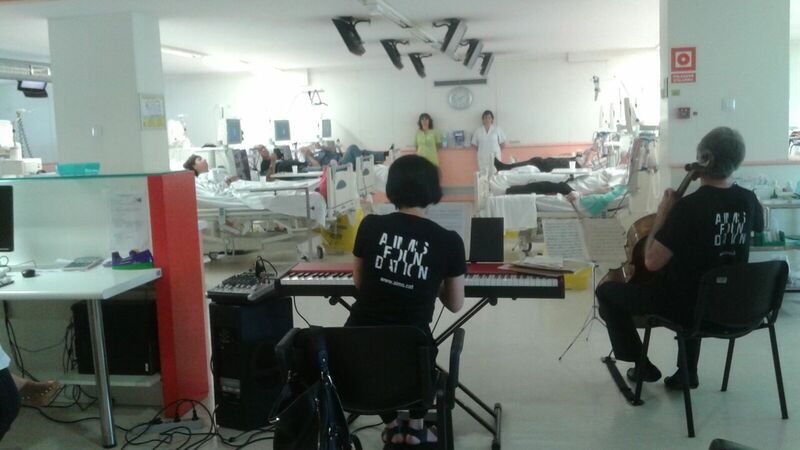 Van oferir concerts a la Unitat de Semicrítics de la UCI, a la Unitat d’Hospitalització, a la Unitat de Llarga Estada i a la Unitat de Diàlisi. 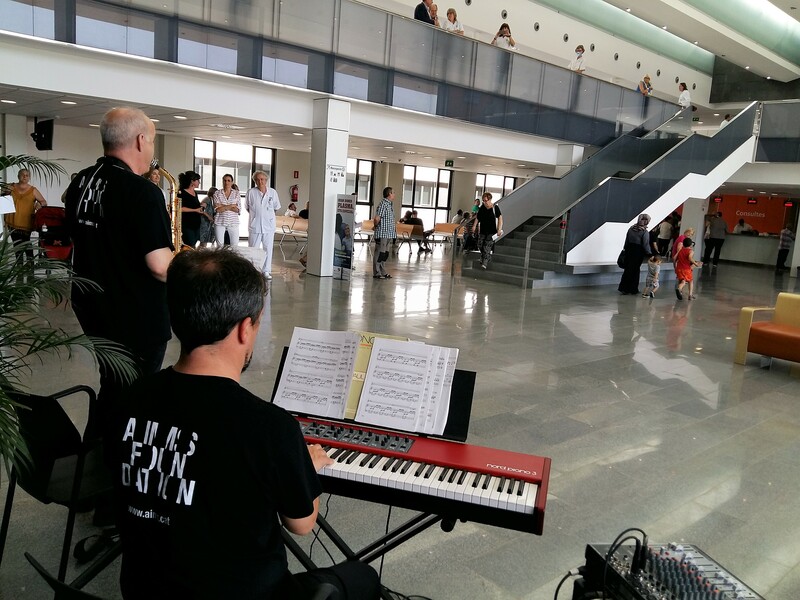 Seon-hee Myong and Peter Thiemann continued their visits to Manresa. 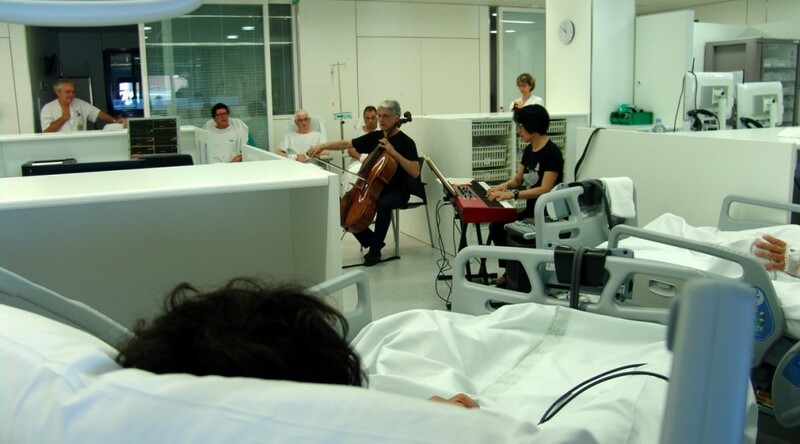 They offered concerts at the Semi-Critic Unit of the UCI, the Hospitalization Unit, the Long-Stay Unit and the Dialysis Unit. 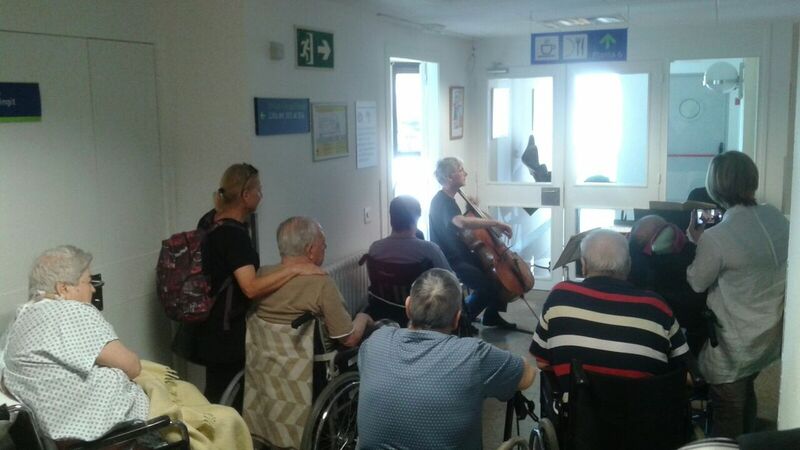 Albert Julià, Dani García van participar en el dia de la música al Parc Sanitàri de Sant Joan de Déu a Sant Boi de Llobregat. Gràcies Albert, gràcies Dani! 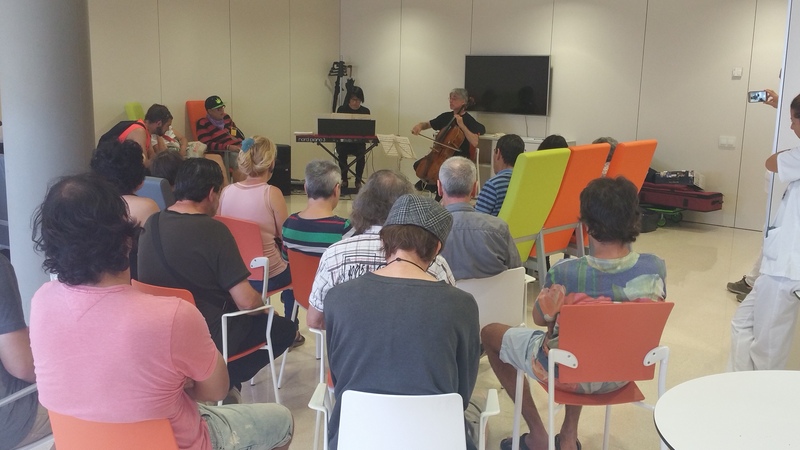 Albert Julià and Dani García participated in the day of the music at the Parc Sanitàri de Sant Joan de Déu in Sant Boi de Llobregat. Thanks Albert, thanks Dani!